Hello, I am Michael E.Goldberg, Reiki Master and Life Coach. 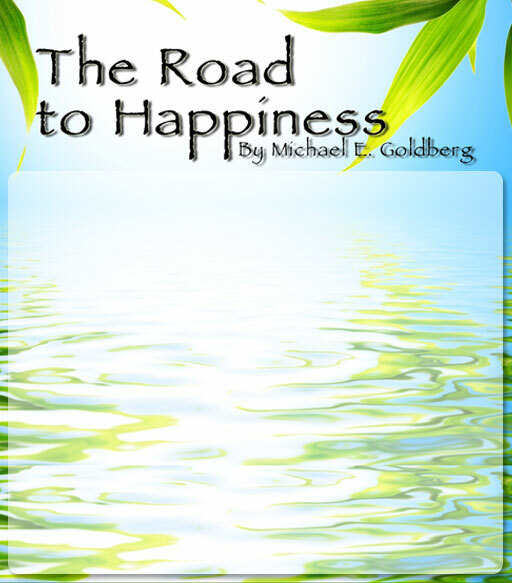 Please download my book, The Road to Happiness, for free. It is my gift to you to help you live a happy,healthy life. Use the techniques in my book to have peace of mind, spirit and freedom from stress, fear and anger. Don't have Acrobat? Click here. Heal yourself, body and spirit with a combination of Reiki, holistic alternatives and traditional medicine. End insomnia, depression, anxiety, other mood disorders, addictions, bulimia, anorexia and other eating disorders, and anger. Please try my techniques and you will be amazed at your benefits!